2017 NABJ Convention and Career Fair in New Orleans Aug. 9-13, 2017. 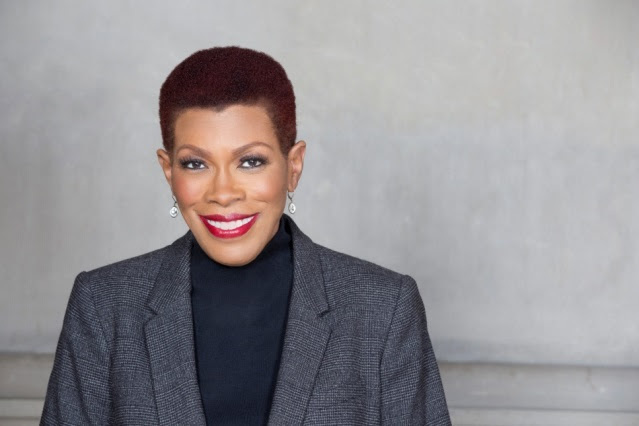 "NABJ is proud to honor Rochelle with the Ida B. Wells Award. She is the epitome of someone who uses her voice for positive change. Her columns remind news executives, news managers, reporters and producers of the importance of our responsibility to be inclusive and accountable in our coverage," said NABJ President Sarah Glover. "Her consistency and assertiveness in her reporting is so necessary. You can be sure what is read in one of her columns will spark a conversation and more importantly lead to some sort of action." The annual honor is given to an individual who has made outstanding efforts to make newsrooms and news coverage more accurately reflect the diversity of the communities they serve. Rochelle is being recognized for her strong efforts in advocating for press freedom. She has spent 20 years crusading for better lives for children, government accountability, and improved race relations. She also has spent 16 years promoting the need to increase adult literacy, helping to raise nearly $2 million for literacy causes in Michigan. She is the author of "The Burden: African Americans and the Enduring Impact of Slavery" (Wayne State University Press, 2018). She has worked at The Washington Post, The Dallas Morning News and The Courier-Journal in Louisville, Ky.
"Rochelle Riley's stellar career as a journalist and as a mentor to scores of up-and-coming young journalists represents the kind of passion and commitment," said Charles Whitaker, associate dean at Medill. "The Ida B. Wells Award was created to recognize and celebrate. She is a role model to all of us who care about the present and future of our field. And she is an extremely worthy recipient of this honor." Rochelle Riley's award-winning columns have appeared in the Detroit Free Press and at www.freep.com since 2000, where her debut column called for the city schools to be shut down. During her decades of service to the NABJ, Rochelle has helped train hundreds of journalists in high school journalism workshops and the student training programs at NABJ, APME and ASNE summer conventions. "I have come close to doing what I'd hoped to do: I've made a difference," said Riley, "I have been an activist, a crusader and a mentor, trying to live up to the legacy of Ida B. Wells-Barnett. We must always make sure there are others to take our place on that battlefield as the war for a complete truth wages on." Rochelle's honors include a National Headliner Award, a National Scripps Howard Award and numerous first-place honors from Associated Press-Managing Editors, the Michigan Press Association, the Society of Professional Journalists and NABJ. Her columns about the fall of former Detroit Mayor Kwame Kilpatrick were part of the entry that won the 2009 Pulitzer Prize in Local Reporting. She was a 2016 finalist for the ASNE Mike Royko Award for Commentary/Column Writing. She was also a 2016 inductee into the Michigan Journalism Hall of Fame.